Check out the new augmented reality interpretive trail along this historic property! 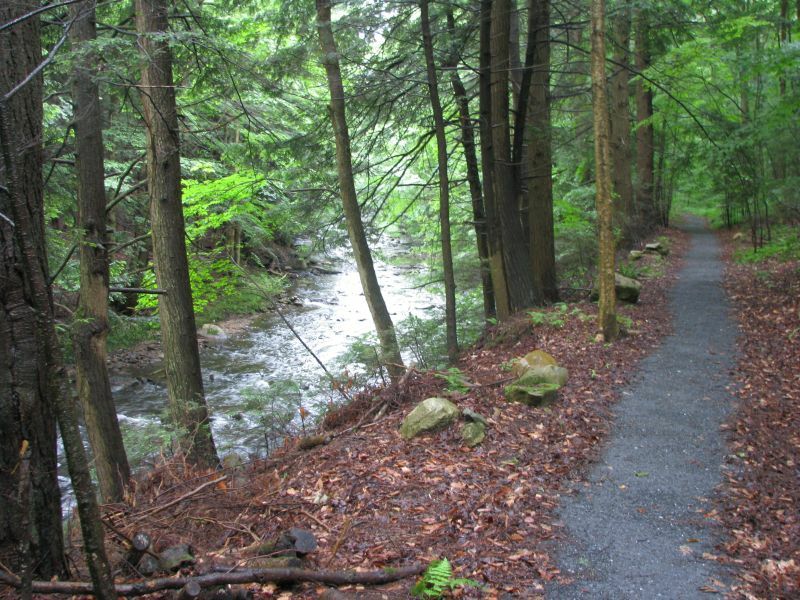 Description: Join the Housatonic Valley Association (HVA) and the Berkshire Natural Resources Council (BNRC) in walking the Old Mill Trail which follows the East Branch of the Housatonic River and blends nature’s beauty with the history of the local nineteenth century textile mills. Please bring a snack, water, and appropriate footwear. From the center of Dalton: take Route 8 south to the Hinsdale line. From the town line, continue 4/10 miles to a left on Old Dalton Road. The trailhead parking is the first, immediate left.